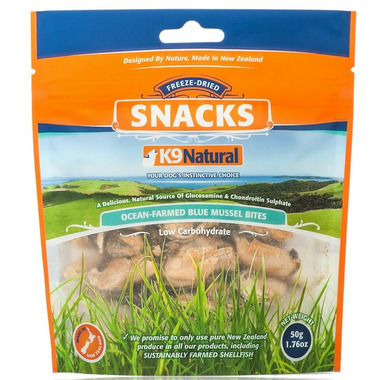 K9 Natural Freeze Dried Blue Lipped Mussel Snacks naturally contain glucosamine and chondroitin sulphate. This combination represents the building blocks of healthy bones and cartilage. These delicious, healthy snacks are carefully created using the finest ingredients on earth and then freeze-dried to lock in the natural goodness. Contains only pure New Zealand produce, including sustainably-farmed shellfish.